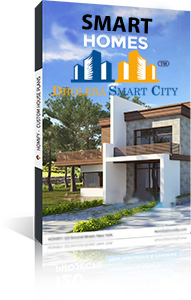 Dholera Smart CityTM is a Fastest Growing Company In Dholera, Gujarat. 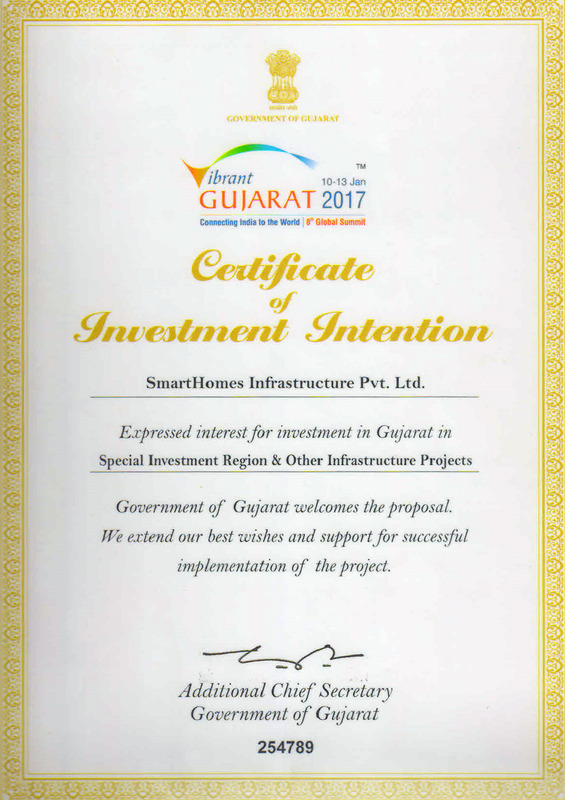 Dholera Smart CityTM project plans a world class affordable housing project launched in the first smart city of India - Smart City Dholera SIR. Legally approved and a Clear Title NA Project is located in the heart of Dholera. The most alluring residential township in the vicinity having residential plots, villas and apartments. 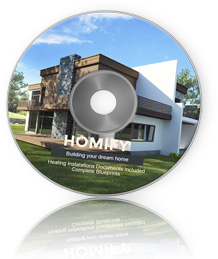 Developed by SmartHomes Infrastructure Pvt. 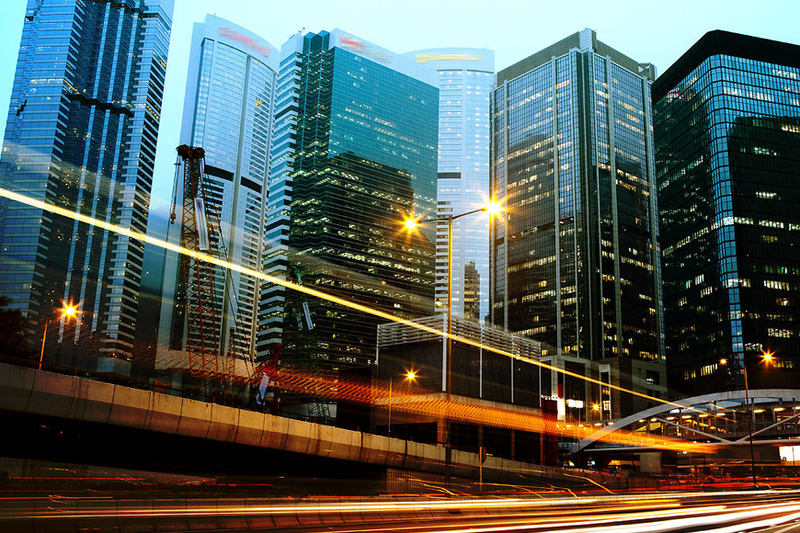 Ltd, the Indian wing of Singapore based Smart Infrastructure PTE. 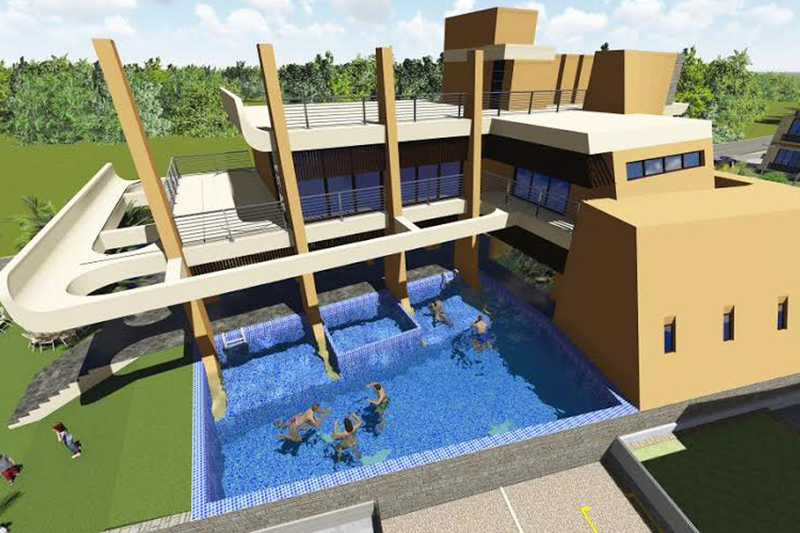 Ltd, it is one of the several projects that the developer aspires to build in Dholera and other places in Gujarat. 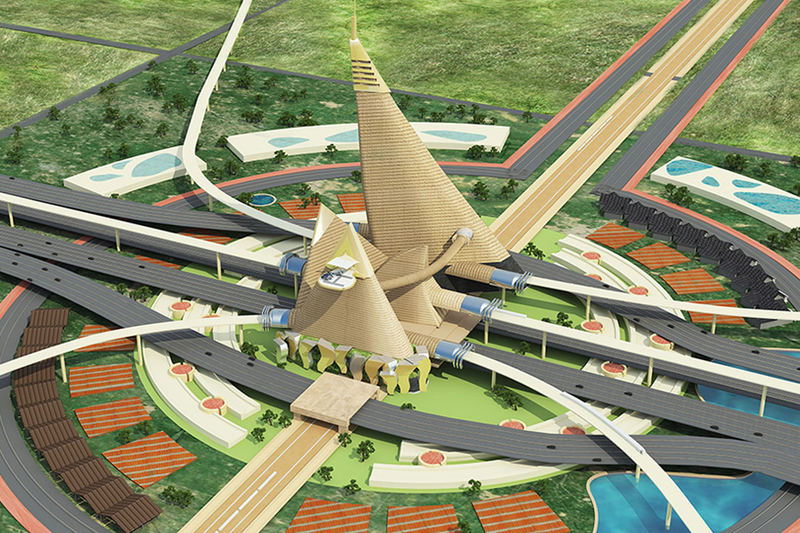 Another project that is simultaneously being developed in Dholera is SD Phase 1. Sprawling over 500 acres, We offer a plethora of options in the World's fastest growing Real Estate Property in Dholera SIR Smart City Gujarat like Residential Plots, Villas, Bungalows and Smart Value Apartments. Over 10,000 residential units are in the making over a five year term. 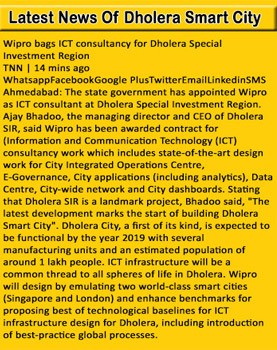 Investing in Smart City Dholera is a golden opportunity to invest in the fastest developing city of India!!! 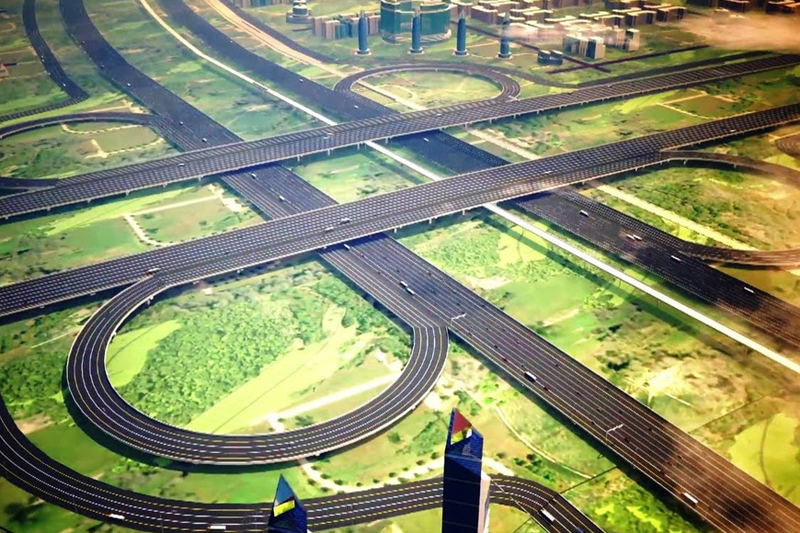 ✔ Dream Project of Mr. Narendra Modi envisaged when he was the Chief Minister of Gujarat. ✔ Identified as the first Smart City of India. ✔ To be developed 2 times the size of Delhi and Six times that of Shanghai. ✔ Rated by Forbes as one of its kind cities in India and one amongst Top 12 fastest growing cities in the world. ✔ A Special Investment node along the DMIC corridor making it a site for fast track trading and manufacturing activities. ✔ Development plans undertaken jointly by Gujarat State Government and Central Government. ✔ Excellent connectivity through rail, road, express highway, international airport, metro and port which collectively links the city on both national and global front. 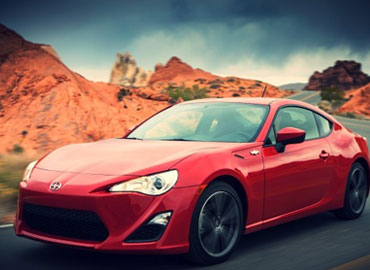 ✔ Initial funding of Rs. 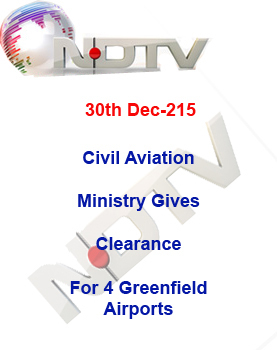 3,000 crore received from government which shall result in attracting FDI's and private investors. ✔ Availability of abundant land at lower valuation makes it a value proposition for retail and international investors. 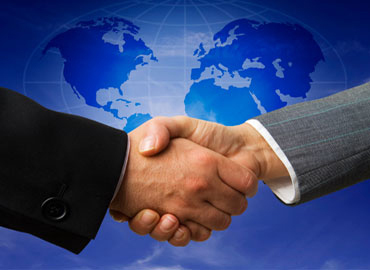 ✔ First choice for smart investors owing to its strategic location, current prices and thrust from the government. By and large, it is very much advised by experts who are observing Dholera Real Estate markets very closely that investing in Dholera at present will surely yield very good returns. 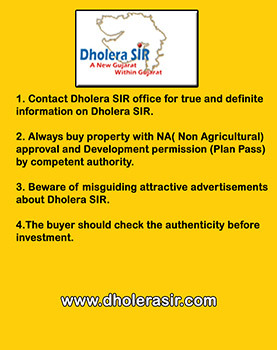 Click here to know more about Dholera SIR projects. Dholera SIR, Indiaà¦©rst smart city is located in the dynamic state of Gujarat and has been envisioned by the Prime Minister Mr. Modi as a city that is twice the size of Mumbai and six times that of Shanghai. In order to propel the growth of the economic region of Dholera SIR, central government has identified five early bird projects, development of which shall be put on fast track. 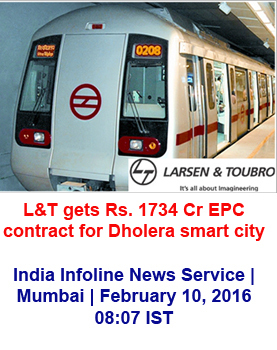 Larsen & Toubro (L&T) has been awarded the INR 1,734-crore EPC contract to work on the construction of the Dholera Smart City, Dholera International Airport project has been given environmental clearances. 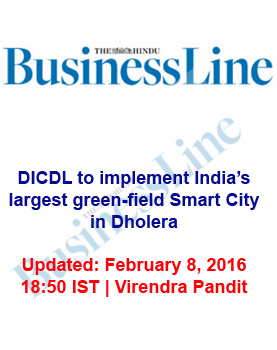 Being one of the first Greenfield smartest city of India, Dholera has become Investors first choice now. 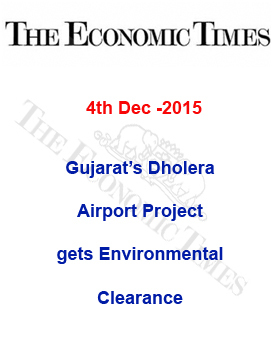 Investors looking forward to earn good returns in short span, Dholera is the right destination for it. As they say, Land Appreciates Never Depreciates, specially land of Dholera that has become one of the best investment destinations for property investors. The airport shall be strategically located 20 kilometres from smart city Dholera and 80 kilometres from Ahmedabad and falls under Taluka Dhandhuka, Ahmedabad district. The project shall cost Rs. 1,378 approximately. to book your Book Your Free Site Visit. We are here to help you to re-sale your property!!! I found them quite knowledgeable and they are very confident of what they are doing. Transparency is what I liked about them.